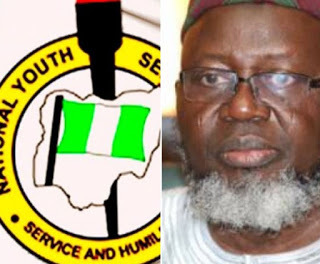 correspondences, Adebayo Shittu on notice on the likelihood of hauling him to court. 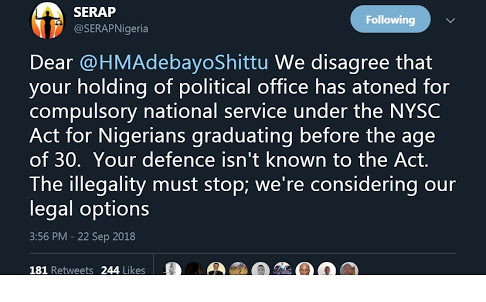 The group said to him; " We disagree that your holding of political office has atoned for compulsory national service under the NYSC Act for Nigerians graduating before the age of 30. Your defence isn't known to the Act."